There plenty of tires and wheel rims for sale in Dubai but getting a good wheel and rim repair in Dubai is not an easy feat. Rim restoration and painting needs to be done by people who know what they are doing. They should know the specific repair techniques for each kind of damage. Driving a vehicle with damaged wheel rims can have a great impact on your safety and put you at greater risk for accidents. Even minor cracks can affect the balance and fuel economy of your vehicle. Hence, it is vital to keep a close eye on your wheels and get any damage fixed as soon as it occurs. We have an expert team which is arguably the best team to tackle rim crack and scratch repair in Dubai. They are second to none when it comes to rim dent repair. After they give your wheels the loving attention they deserve, even the scruffiest set of wheels are transformed into wheels in near new condition. 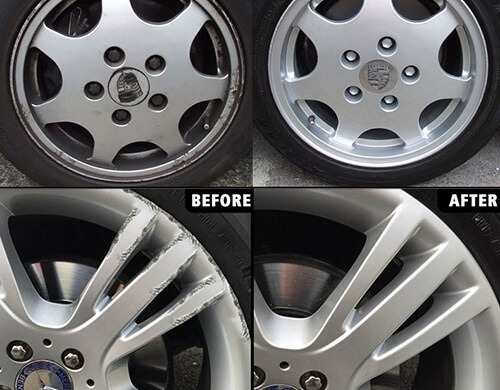 Depending on the repair they need, our team uses blasting, repainting, lacquering and a combination of delicate and advanced repair techniques to transform your wheels into the best in town. 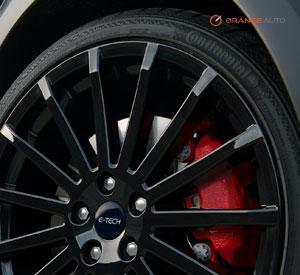 We can repair and refurbish all kinds of wheels including those of sedans,CUVs, SUVs, trucks and buses. We at orange auto can repair and refurbish up to 98 percent of all damaged alloy wheels thus helping you to reduce the possibility of having to purchase new alloy wheel rims. 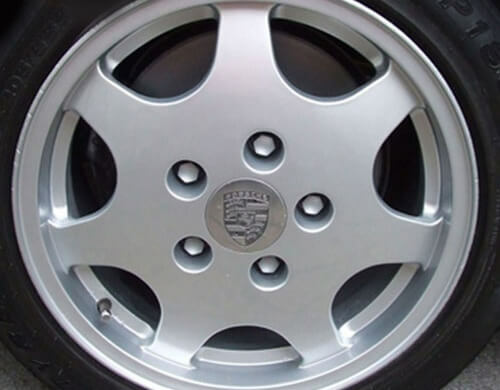 The range of services we offer for alloy wheels include scratch and dent repair, repair of cracked wheels, rim restoration, repainting, fixing of air leaks and customization of wheels. In addition to wheel repair and refurbishment, we offer a wide range of services like car detailing, oil change, battery check and replacement, tire change, wheel balancing and car wash in Dubai.